Your nervous system controls and coordinates everything in your body. 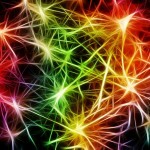 It is like a “Nerve Information Highway” and is a vital component of peak health. Are your nerves transmitting like high speed broadband … or like an old school dial-up connection from last century? Today we can stream high speed HD video and Netflix binge – that’s closer to our health potential. Nervous system compromise from spinal misalignments can slow down the nerve transmission and signaling to your entire body. Chiropractic can give you a healthy upgrade to your Ni Fi (Nerve Information) restoring nervous system health potential. Listen to Dr. Dan’s podcast on this topic by clicking here!